Mr. Robert Benjamin Miles, Sr. age 93, of Winfield passed away Monday, January 21, 2019 in the Diversicare Health Care Center in Winfield. Robert was born to John Frank Miles and Lillie Harbin Miles on June 16, 1925. Robert grew up in the Rock City community, went thru the 6th grade at Bobo elementary school, and later earned his GED through the GI Bill while serving in the U.S. Navy. Robert married his sweetheart, Lucille Black from Fayette and raised three children, Bobby, Helen, and Lillie. Robert worked several jobs, sometimes simultaneously, in order to provide for his family. He was employed at the Joslyn Steel Mill in Ft. Wayne, IN, five days a week and at a local service station on the weekends. Upon returning to Alabama, he worked for the Winfield Pepsi Company and Glen Allen Coal. Robert enjoyed playing music and working at his sawmill. He was preceded in death by his parents, three sisters, Jenny Bell, Margaret, and Murral, four brothers, Jim, Donald, Junior and Arnold. He is survived by his children, Robert Miles, Jr. “Bobby” (Chesteen) of Winfield, Helen Henderson (Sam) of Fayette, and Lillie Everette (Benny) of Fayette, grandchildren, Sharon Dickinson (Steve), Kristy Corley (John), Michele Stanford (Craig), Ross Henderson (Revelle), Miles Henderson, Bryan Everette (Shari), Angela Cribb (Scott), great grandchildren, Kyle Rainey (Tasha), Kevin Rainey, Ryan Stanford, Kelsi Stanford, Allyson Afshar (Bryan), Brooke Hynds (Caleb), Rhett Henderson, Sadie Henderson, Isabel Henderson, Everette Cribb, Morgan Cribb, Aaron Cribb, Madison Cribb, and Lauren Cribb, great great grandchildren, Kolt Rainey, Ben, Bryce and Barrett Afshar, Harper and Callie Hynds, and three more on the way. Funeral services for Robert will be held on Thursday, January 24, 2019 at 1:00 p.m. from the Bowen Funeral Home Chapel with burial to follow in the Griggs Place Cemetery. The visitation will be from 12:00 noon until 1:00 p.m. (service time) on Thursday at the funeral home. Bowen Funeral Home serving the Miles Family. Mrs. Charlene Bourland Holcomb, age 72 of Brilliant, passed away Friday January 19, 2018 in the DCH hospital in Tuscaloosa. Mrs. Holcomb was preceded in death by her parents, Bill Bourland and Bessie Estes Bourland, her husband, Robert Holcomb, one sister, Debra Franks, three brothers, Carlton Bourland, Willie Bourland, and David Bourland. She is survived by her children, Kimberly Holcomb (Herman Logan) of Winfield and Anthony Holcomb (Shae) of Brilliant, grandson, Dustin Markham (Ashley) of Huntsville, great grandchildren, Hallie and Luke Markham, special nieces, Holly Thornton (Donnie) and Monica Franks and special great nephew, Gabriel Thornton, sister, Millie Thompson (Harold) of Brilliant. Funeral services for Mrs. Holcomb will be held on Monday January 21, 2018 at 2:00 p.m. from the Bowen Funeral Home Chapel with burial to follow in the Brilliant Memorial Gardens. Visitation will be held on Sunday evening January 20. 2018 from 6:00 p.m. until 8:00 p.m. at the funeral home. Bro. Dwight Bailey and Bro. Greg Webb will be the officiating ministers. 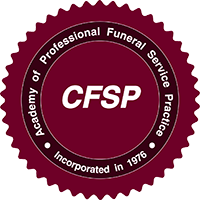 Honorary pallbearers will be, Terry Thompson, Jason Bourland, Carol Bourland, Gary Bourland, Greg Bourland, Will Bourland, Cole Fulmer, Mark Whitley, John Whitley. Bowen Funeral Home of Winfield serving the Holcomb family. Mrs. Mary June Tucker, age 69, of Winfield formerly of Jasper, passed away Friday January 18, 2019 at her residence. Mrs. Tucker was born June 18, 1949 in Little Rock, AR to James A. Smith and Alice Lemmons Smith. Mrs. Tucker was preceded in death by her parents, her husband, Douglas “Buddy” Tucker, one son, Douglas Dewayne Tucker, three sisters, Wonda, Theresa, and, Ann, five brothers, David, Danny, Jessie, Thomas, and James, Jr. Mrs. Tucker is survived by her children, Cynthia Hyche (David), Randy Tucker (Nikki), Landy Tucker (Melissa), grandchildren, Tiffany, Tyler, Shawn, Andrew, Michael, Amber, Carson, Chase, Sharon, Brandon, Kortlynn, Kristen and Christopher, sisters, Joyce Tidwell and Marie Gilbert, brothers, Eugene Smith and Lonnie Joe Smith and a host of nieces, nephews, other relatives and friends. Funeral services for Mrs. Tucker will be held on Sunday January 20, 2019 at 2:00 p.m. from the Bowen Funeral Home chapel. The visitation will be held from 1:00 p.m. until 2:00 p.m. (service time) on Sunday at the funeral home. Burial will follow in the Tidwell Chapel cemetery. Bowen Funeral Home serving the Tucker family. Mrs. Helen Louise Stephens, age 80, of the Tidwell Chapel Community, passed away Monday January 14, 2019 in the Fayette Long Term Healthcare Facility. Mrs. Stephens was preceded in death by her parents, Troy Dodd and Earline Tucker Dodd, husbands, Floyd McDonald, John Cochran and Ronald Stephens, grandson, James McWhirter, sisters, Maybell Mayfield, Carolyn Heathcock, and Jackie Faucett, brothers, Garland Dodd, Harlon Dodd, and Carlton Dodd. She is survived by her daughter, Janet McDonald McWhirter (Boyce) of Hubbertville, sons, Thomas Wayne McDonald (Denise) of Fayette, and Franklin Lee McDonald of Winfield, grandchildren, Tiffany McWhirter, Kelly McWhirter, David McWhirter, Jessica Taylor (Kevin), Kimberly Benton (Michael), Justin McDonald (Nicole), Emily McDonald, Jennifer McDonald, Sarah McDonald, great grandchildren, Zora McCarley, Jacoby McCarley, Alex Neels, Jayden McDonald, and Tyler McDonald, Sisters, Wynell Reed and Patty Tidwell, and a host of nieces, nephews and other relatives and friends. Funeral services for Mrs. Stephens will be Thursday January 17, 2019 at 7:00 p.m. from the Bowen Funeral Home Chapel. The visitation will be Thursday evening from 6:00 p.m. until 7:00 p.m. (service time) at the funeral home. Burial will follow on Friday morning in the Tidwell Chapel cemetery. Bowen Funeral Home serving the Stephens family.